Visitors who come to California for the first time are often surprised at how different the houses are—different as well as attractive. Chunky, low and surrounded by semi-tropical flowers and greenery, a typical California house seems to embody so much that is special about the Golden State. They’re houses that inspire dreams of cool floors, open windows, wide patios and the scent of eucalyptus. This distinctive architectural style has been a part of California for hundreds of years. When the earliest Spanish settlers and missionaries came to California, they built churches, homes and other buildings using local materials and a design that was perfectly adapted to the environment. Now known as Spanish or Mediterranean Revival, this style is one of the country’s most charming and desirable architectural styles. If you are lucky enough to live in a Spanish Colonial house, you know how well these homes combine functionality with their own distinctive beauty. A number of features are typical of the Spanish Colonial style. Most of these houses will have thick walls, sometimes made of adobe, coated with stucco. In a desert climate, the walls keep out the intense daytime heat while also storing some of that heat for nighttime. A traditionally built Spanish Colonial house will save considerable money on heating and cooling. However, in wetter climates the stucco needs to be carefully maintained to avoid cracks and crumbling. These houses are often a single story and have porches, courtyards and patios, all of which soften the transition from inside to outside. Many contemporary houses apply the aesthetic of traditional Spanish Colonials to larger, more elaborate structures. Another mark of the Spanish Colonial style is the signature clay tile roof. Clay tiles are very low maintenance and will last for decades. 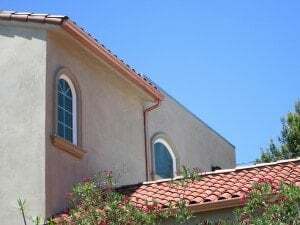 If the occasional tile breaks, it can be replaced easily, especially since Spanish Colonial houses tend to have low-pitched roofs. Even though these houses are generally built in drier climates, clay tile roofs still have to deal with the occasional downpour. These roofs should have a gutter system that is in keeping with the style of the house. Some homeowners install generic rain gutters and find that they spoil the aesthetic uniformity of the house. 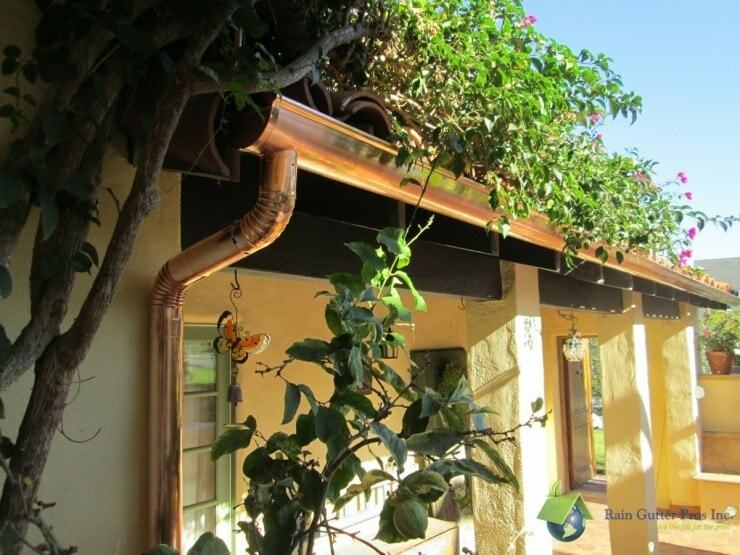 The more traditional aesthetic or half-round gutters, on the other hand, is in keeping with the Spanish Colonial tradition and becomes an integral part of the look. Copper half-round gutters are especially charming on these houses. 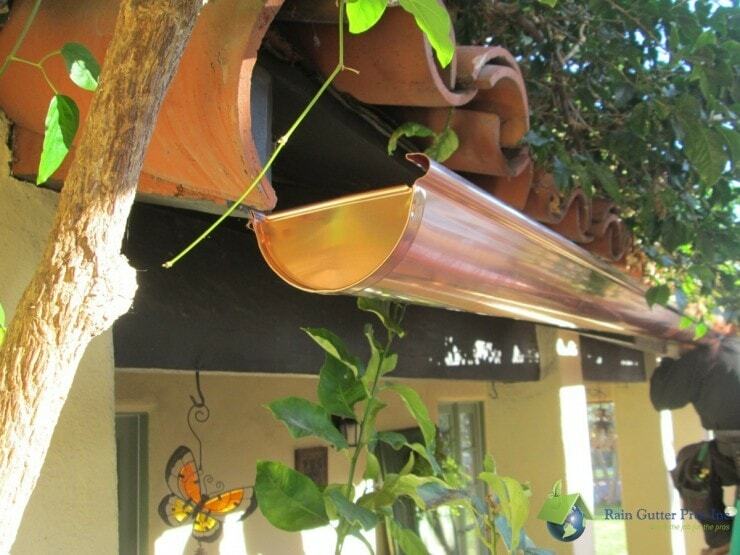 The bright copper color will eventually mellow but copper gutters will never rust. Instead, they will continue to look good and function well as long as you enjoy your beautiful, California-style Spanish Colonial home.